You are invited to experience the resulting artworks from the Luminous Bodies art residency. Meet the 16 participating artists from Brazil, Poland, Australia and across Canada and the U.S.! Luminous Bodies is a two-week art residency that illuminates the diversity of the human body. Resident artists uncover how our bodies are socially constructed, idealized and controlled. They create artworks that reinvent and re-present the body in its most diverse ways. This year’s artists are working in a wide range of media including performance, painting, creative writing, drawing, sound art, social choreography, video, and sculpture. Artscape Gibraltar Point strives to accommodate visitors of all abilities, for access information please phone ahead. 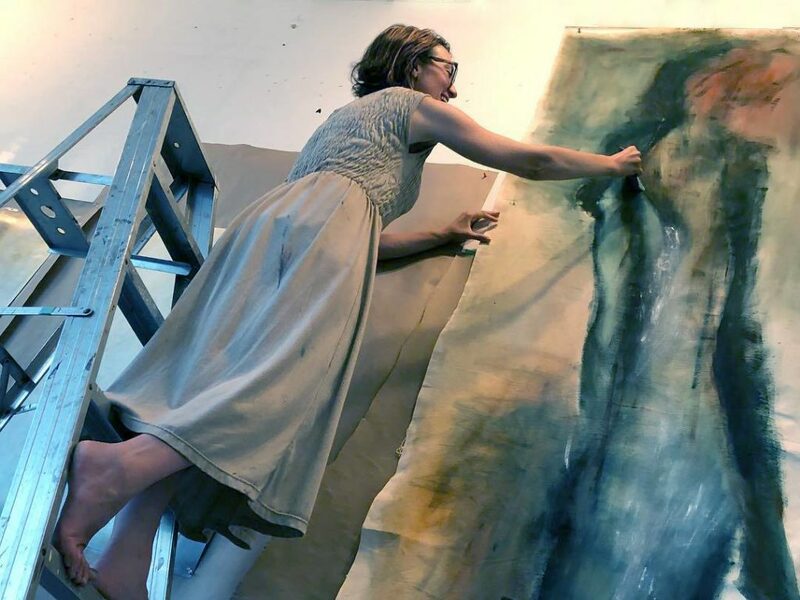 Featured Image: Artist Holly Edwards at work in her studio. Photograph by Teresa Asencao, used with permission.